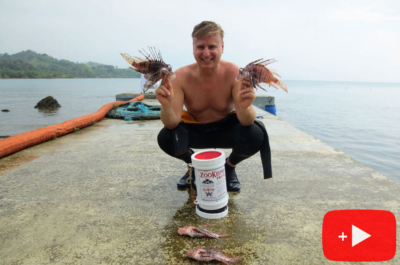 Stung by a Lionfish & Can Lionfish Fly? 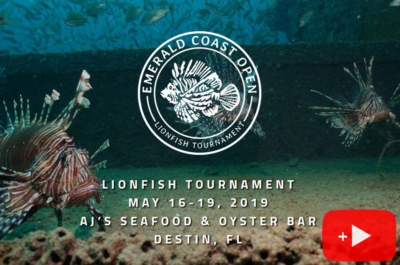 Stung by a Lionfish & Can Lionfish Fly ? 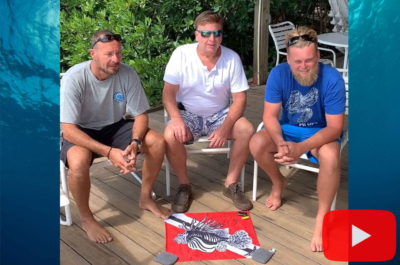 On Thanksgiving weekend 2017 I was diving hunting Lionfish with some Instructor friends and my buddy Alton was stung by a Lionfish spine. He was super brave about getting stung and spent the first 10 minutes after the sting squeezing out the venom. A Lionfish sting from one of their spines is similar to a snake bite. The area around the punctured area swells up quickly causing tons of pain. I was stung once underwater in Panama about 4 years ago and never saw anyone get stung out of water. You might ask how this happened. One of the Lionfish’s broken spine fell on the floor of the boat and then Alton not seeing it stepped on it. He had about the same chance of getting hurt as winning the lottery! 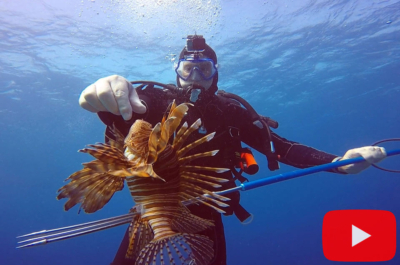 Since the Lionfish was about 14 inches, its spines were very long. Alton got off the boat and I suggested that he sit in the hot tub, which he did, helping break down the venom in his foot. 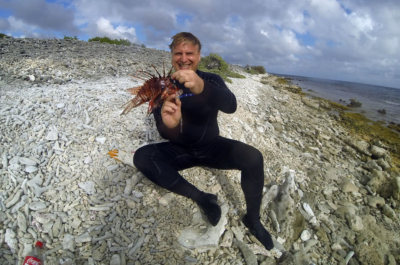 Be careful of Lionfish spines even if they are detached from the Lionfish!! !